Trying to decide what to take on your next camping trip? Help is at hand! Avoid a packing nightmare with our handy packing checklist. It’ll make sure you have all the essentials covered and we’re giving it away as a free printable so you can tick off each item as you pack it. From everything you need to set up camp to clothing, food and first aid supplies, read on to find out what you need to take camping. Let’s start with all the camping supplies that you absolutely cannot do without! 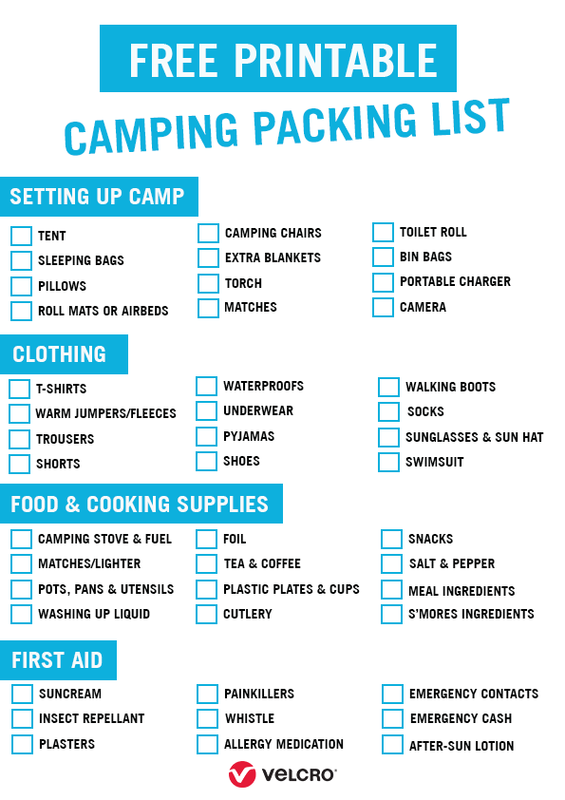 Use this handy list to tick off all the essential items you need to set up camp, cook and keep warm! You’ll be surprised how useful VELCRO® Brand fasteners can be on a camping trip! 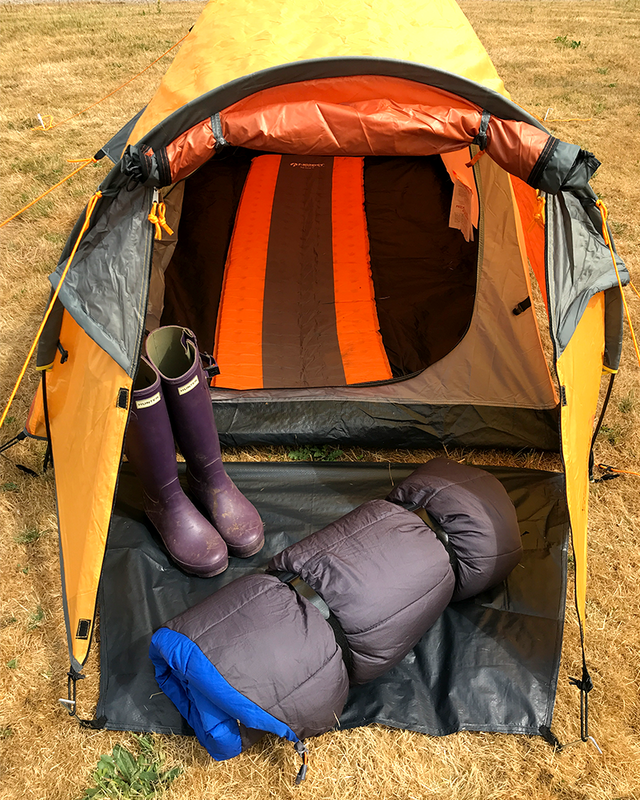 Here are a couple of handy ways to put them to use and for more clever camping hacks, check out our blog post about clever ways to use VELCRO® Brand fasteners on a campsite. Want more clever camping tips? Stay on our blog!